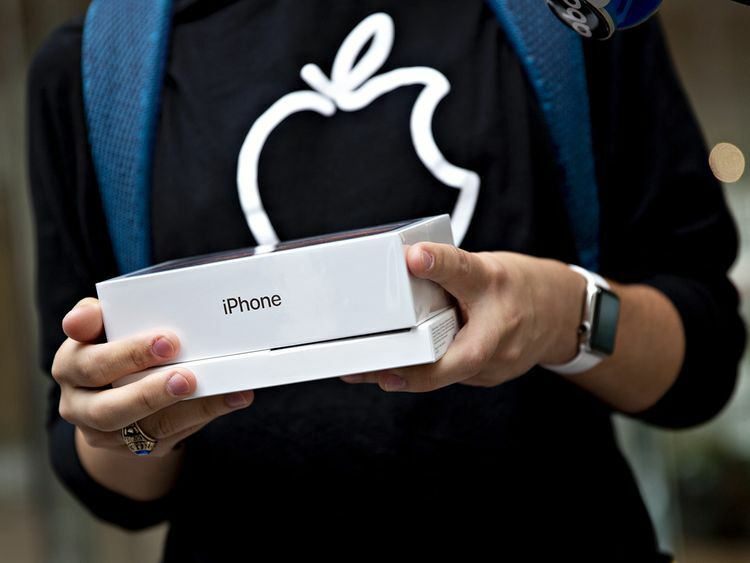 San Francisco: Apple said Tuesday that profits held steady in the most recent quarter, with revenue growth in music, movies, apps and other services offsetting slumping iPhone sales, sparking a rally in shares of the California tech giant. Profit in the final quarter of last year was $20 billion (Dh73.5 billion), a dip of less than one per cent, on revenue of $84.3 billion even as money from iPhone sales was down 15 per cent from the same period in 2017. Overall revenue for Apple dipped nearly five per cent from a year ago, in line with the lowered guidance earlier this month that stunned the market and hammered shares of the iPhone maker. The update for Apple’s first fiscal quarter to December 29 was greeted with relief on Wall Street, as shares rallied 5.5 per cent in after-hours trade. Services revenue reached an all-time high of $10.9 billion, up 19 per cent over the prior year. Apple also boosted sales of wearables and accessories by 33 per cent from last year.